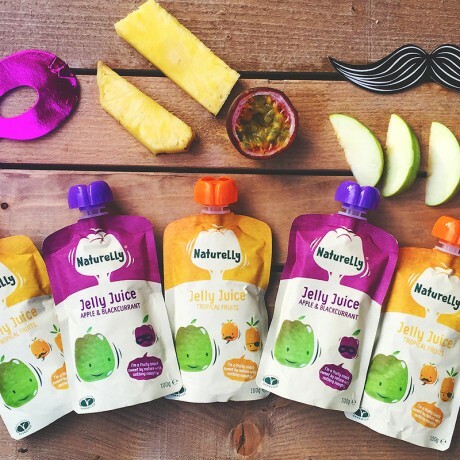 Naturelly's Jelly Juice is a refreshing blend of real fruit juice and gellan gum - a natural dietary fibre. This gelatine free jelly juice naturally helps fill up little tummies until meal time and helps stop those cravings for sugary snacks. It's a school approved product and it's been approved by the vegetarian and coeliac societies too. It comes with no added sugar or sweeteners, has only 7g of naturally occurring fruit sugars and 36 kcal per pouch. Naturelly has added vitamins (A, C, E) and is suitable for children over 1 year.